The removal of white sand from the coast of Falealili described as an “environmental scandal” by concerned residents is a perfectly legitimate operation. That’s the assurance from the Chief Executive Officer of the Ministry of Natural Resources and Environment (M.N.R.E), Suluimalo Amataga Penaia. 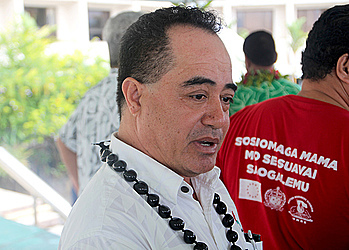 The Chief Executive offered the assurance when he was questioned by the Samoa Observer over trucks carting white sand from Tafatafa, Lotofaga and nearby areas in the district – including Malaemalu. Last week, a concerned resident said the practice has to stop. But Suluimalo said the operation is done legally with a permit and that it is also closely monitored to protect the environment. He confirmed that Lady Elizabeth Constructions (L.E.C.) has a permit to mine the sand in partnership with the leaders and chiefs of the villages. 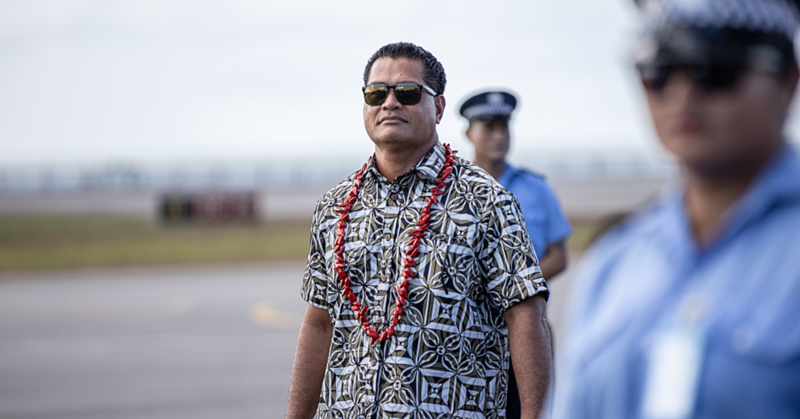 “I can confirm that the Construction company is involved with the sand mining but they are doing work for the village too,” Suluimalo told the Samoa Observer. Suluimalo explained that the company is helping the village quite a bit with the new road and the seawall they are building. “Yes we have given permission to the company to mine the sand but it’s managed,” he said. “The company involved is helping the village a lot; if you evaluate the work they are doing, it’s really good. We can issue pictures tomorrow (today) to show the work that is being done in the village. Contacted for a comment last week, Junior Alenepi, of L.E.C, confirmed they are involved with sand mining but only in the Malaemalu, Falealili area. He said the company has documentations from M.N.R.E. allowing the sand mining activity in the area and that they work closely with the leaders of the villages. “If those who complain need evidence then we can give them the paper work. We have paperwork from the M.N.R.E. it’s not like we just started taking the sand out of the blue," he said. Back to Suluimalo, he refuted claims that the sand mining practice has been going on for years. “L.E.C. hasn’t been doing this for very long,” he said. “They did request an extension on their permit to mine the sand because the work isn’t finished. They need time to look for rocks to replace the sand that was taken. “The work done at Malaemalu is done conservatively so it doesn’t affect the environment. The sand is needed for a lot of the work they are doing for the village. “The road going towards the coast needs the sand. The villagers all moved inland close to the main road to get away from the effects of the ocean. Suluimalo also commended the village and the company for their work. “Their (L.E.C.) work is being monitored by the Ministry so that there are no problems with what they are doing,” he said. 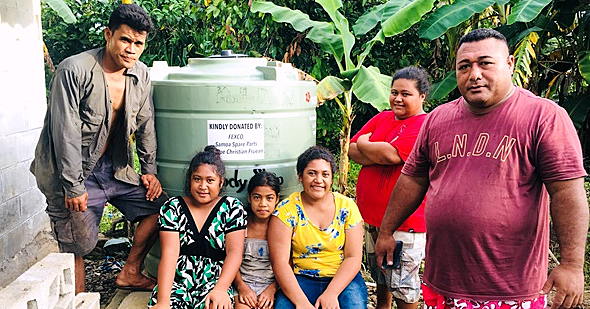 “But this work is done with a true partnership between the company and the village; they don’t really need to wait for the government to make decisions for them. Asked if there are any other companies involved with the sand mining, Suluimalo said there’s only one. “The seawall isn’t finished yet,” he said. “They are being properly monitored so that they don’t over mine the sand. They need to just be good with replacing the removed sand with rocks. The Village Mayor of Malaemalu, Pulotu Tivoli Lavea, told the Samoa Observer during a telephone interview that everything is done by the book and there is no reason to be concerned. “Everything is being done using a permit and under the laws of the government,” he said. “My only question is who came and told your office those lies? All the work that is done is done the right way. It’s all under a permit. “If you see the work they are doing, none of the sand is being taken anywhere else but for the work they are doing here. They are using the sand to make the coastal road and the seawall for our village.